UFO SIGHTINGS DAILY: Nazi Wing Aircraft Design Seen On Comet 67P Surface In ESA Photo, Aug 2016, UFO Sighting News. 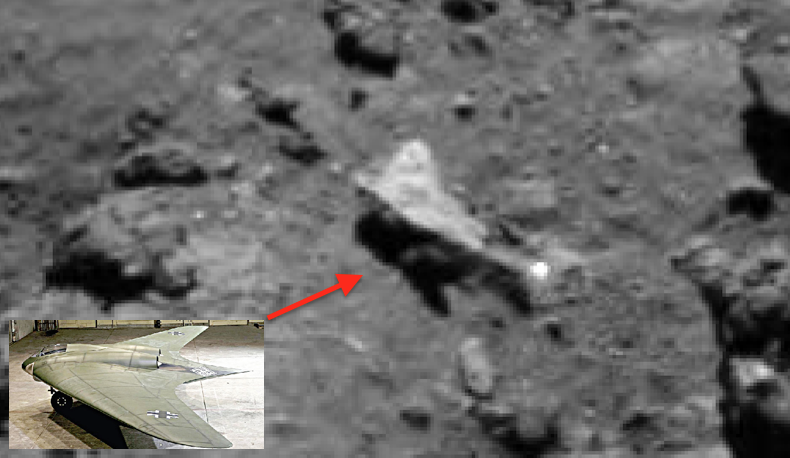 Nazi Wing Aircraft Design Seen On Comet 67P Surface In ESA Photo, Aug 2016, UFO Sighting News. 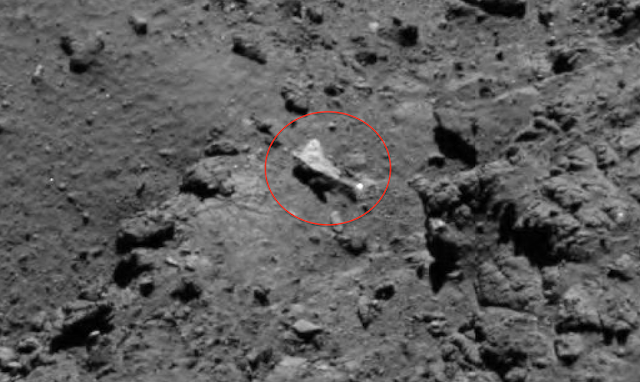 I found this wing space craft landed on a comet in an ESA photo. Its very similar to the old Nazi style secret winged craft. The object has a smooth shiny metal surface across it and doesn't match the colors of any of its surroundings. 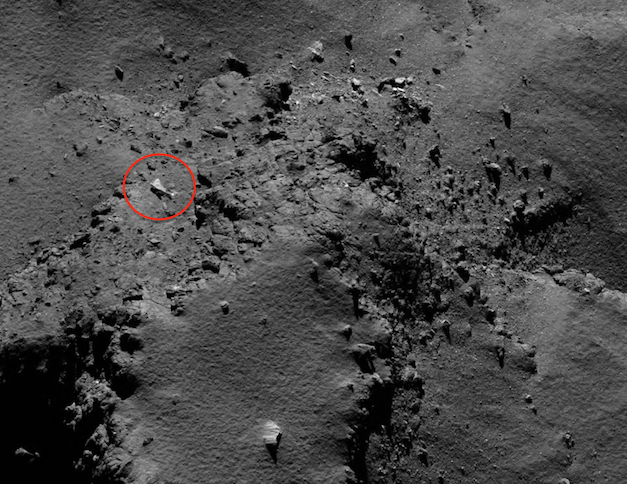 Remember that this comet is 67P, the singing comets...a comet that astronomers heard a singing message from over 20 years ago, which has never stopped, and so they sent Rosetta satellite lander to explore it. It was suspected to have alien life, or probes that transmit the signals to other worlds, but the ESA is not sharing any alien tech they found on it. As always its up to us the public to investigate it ourselves.